A number of officials are sending me checks. Remember, anything scheduled by me would have the 8% applicable scheduling fee. I schedule the earlier rounds of the state tourney. That is why I am surprised anyone has sent me their second payment. 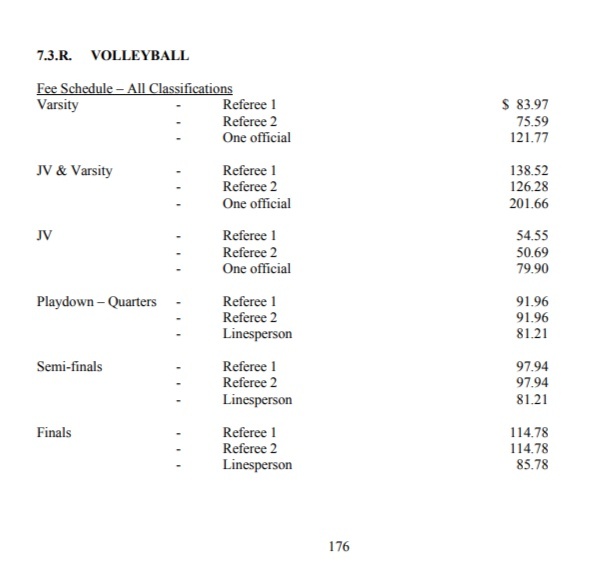 The matches that Marie schedules for the state tournament DO NOT have a fee attached. Marie is compensated directly by the CIAC. Go on Arbiter, go to REPORTS on the left, Hit SCHEDULE, then put the date range you worked, then go to EXPORT FORMAT and put in EXCEL WOKSHEET FORMAT (xls), then hit PRINT PREVIEW, if you look at the bottom right hand corner you will get the amount that you should have been paid. Multiply it by 8% and subtract the amount that you have already paid ( if you did). You will then have the balance owed to me. I hope you all enjoy the final weeks of the season. There are some great matches coming up. If you are not scheduled it is an opportunity to see some very good volleyball. I look forward to seeing you all at the banquet.